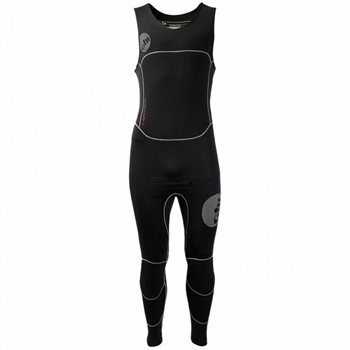 The Thermoskin Skiff Suit features the kind of innovative construction that will prove invaluable against the extreme weather conditions of the open waters. Strategically-placed insulation zones and waterproof seals will keep you warm and dry, while X4 Flex stretch panels and abrasion resistant Di-Guard points offer ease of movement and added protection that considers the rigorous task of sailing. Combine with our Performance Hiking Pads to further shield against contact with the boat.